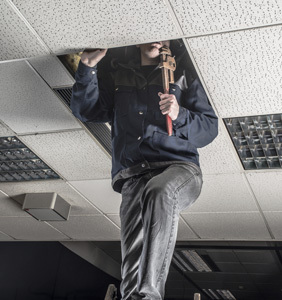 Whether your leak is above or below ground, Leak Doctor will find it without damaging your property or disrupting your business. Our team of highly-trained technicians have a proven track record of finding the most difficult leaks for plumbers, septic companies, property managers, utilities and consumers. We have found thousands of leaks in single-family homes, condominiums, apartments, and more. Our employees undergo extensive background checks prior to being hired and are neat in appearance, polite, drug-free, and respectful of your property. Our staff’s extensive problem-solving experience means a prompt and efficient resolution to your problem. Most importantly, our services are accurate and non-invasive, saving you money in the total cost of the repair and eliminating the time spent digging up your property looking for the leak. Environmental stewardship drives our company to assist in water conservation and training. It is our desire to conserve water for future generations by reducing water loss and changing habits today.